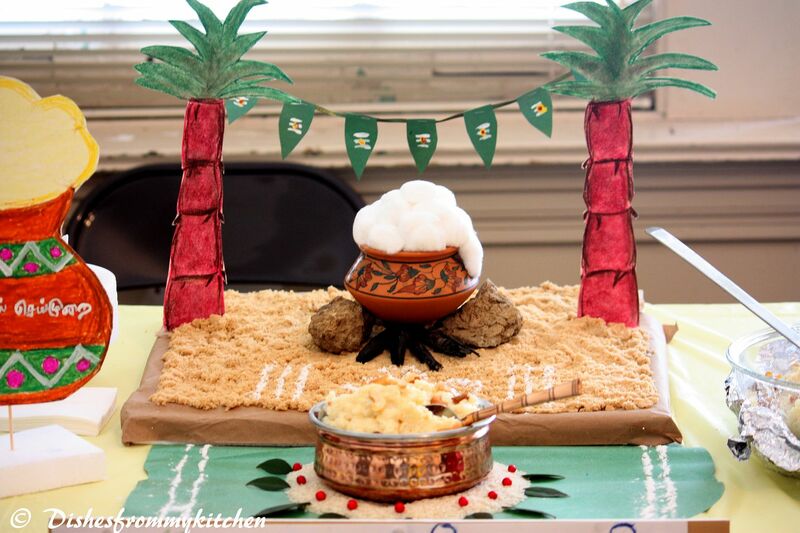 Dishesfrommykitchen: SWEET PONGAL COOKING COMPETITION - HERE IS THE DISPLAY!!! 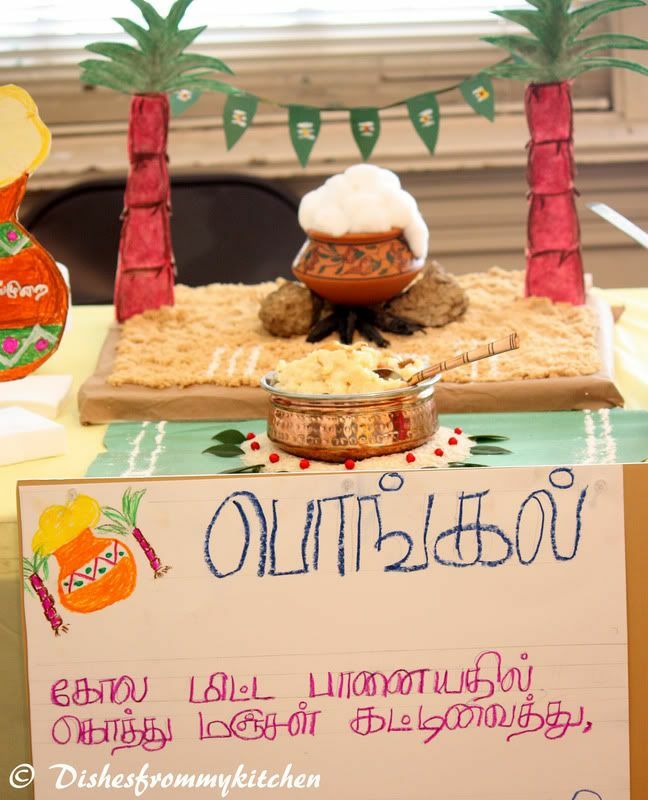 SWEET PONGAL COOKING COMPETITION - HERE IS THE DISPLAY!!! 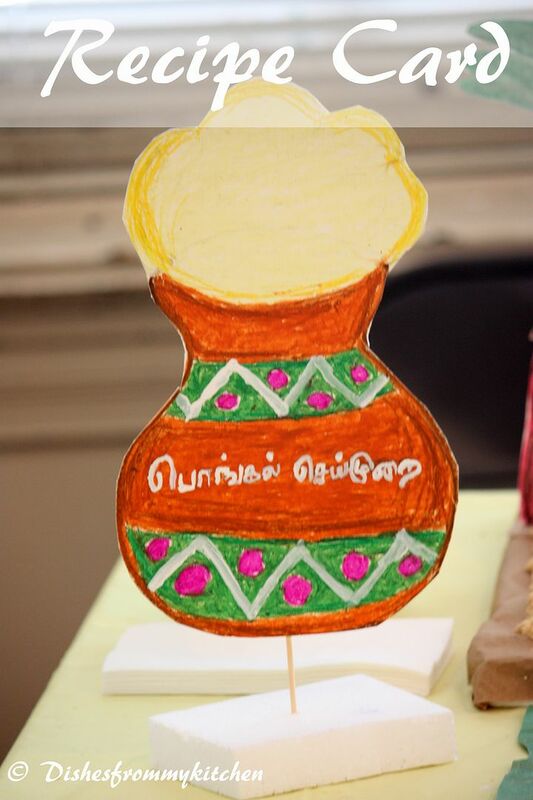 Hi, I am very glad to share the news that I came first in the Sweet Pongal cooking competition conducted by Mid-South Tamil Sangam and they have given me the honorary title of "Mid-South Pongal Arasi (Queen)". 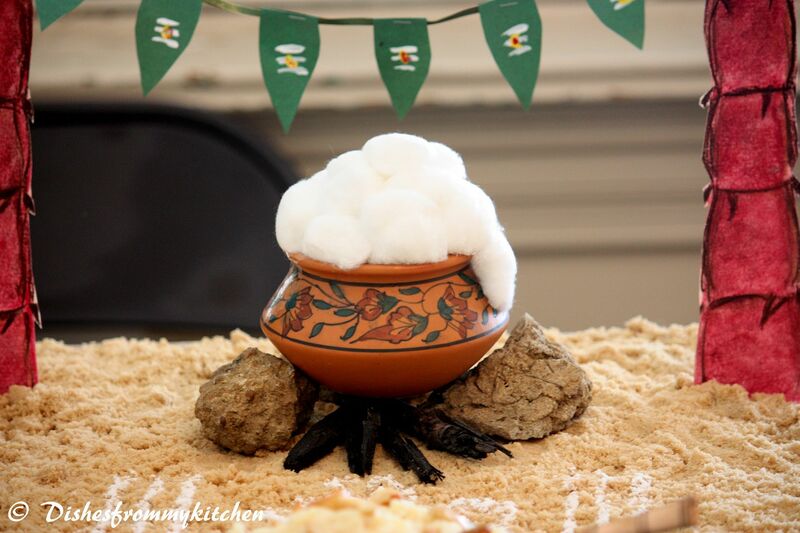 As it is a traditional cooking competition, innovation took a back seat. So I just sticked with the originality and make sure it tastes great. I did not had much time to plan anything ahead, as I came to know about this competition very late. After that I was very much occupied with other works. Anyways I am happy with what I did minimally :). 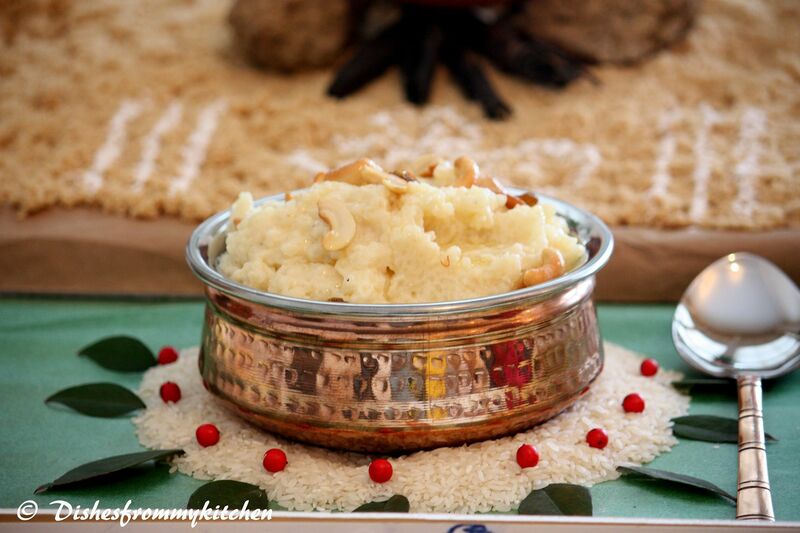 Click here to see the Pongal Recipe. Oh wow, minimally? That's a lot already, isn't it?! You're just as creative in art as you are in cooking! 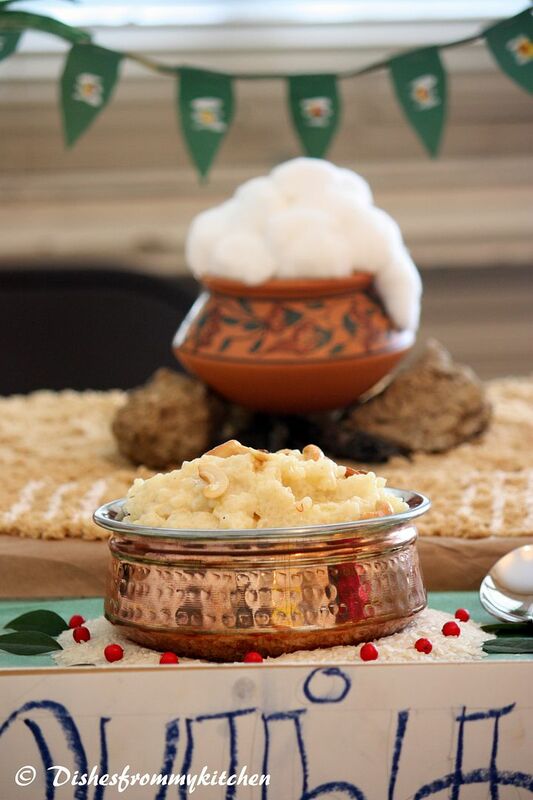 I see you have recreated the Pongal scene the way it looked in your earlier post!!! Congratulations once again!!! Such a beautiful presentation, nobody else could have won when you were there!! Kalakitenga!! Wow Pavithra..You are the Queen Indeed !!! Love everything about it..Congratulations..
Congrats! Way to go. Its the simple traditional food that touches most people. Congrats on your Victory and hats off to your effort. wow...congrats pavi...beautiful presentation and eyecatching pics! !great job dear! Congrats Pavithra !! Lovely display !! wow, what great creativity, amazing looking pics and congrats girl !! !